Is that just a summer storm I hear? Or is it shining glitter, screaming fans, and the clash of skates on Shriner’s floor? 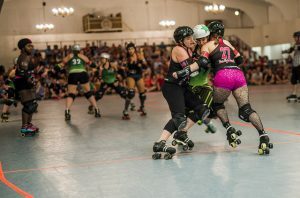 Maybe both, since the Atlanta Roller Girls are bringing the heat for our June home bouts. First on our radar is a home game: Toxic Shocks vs Apocalypstix. Next on the forecast is a force blowing in from the east, as the Richland County Regulators visit from South Carolina to play our Jukes of Hazzard. The Stix have been undefeated so far this season, winning both of their games against the Denim Demons and the Sake Tuyas- all that training in the Thunderdome makes for some highly skilled survivors. But the Shocks certainly aren’t afraid of a little lightning- are they ready for their second win of the season? These two teams last played each other at 2016 Championships, where The Stix earned the win, upsetting the Shocks’ undefeated season. Come watch these two teams fight it out: the Shocks are bringing the storm, but the Stix know better than anyone how to survive tough times. 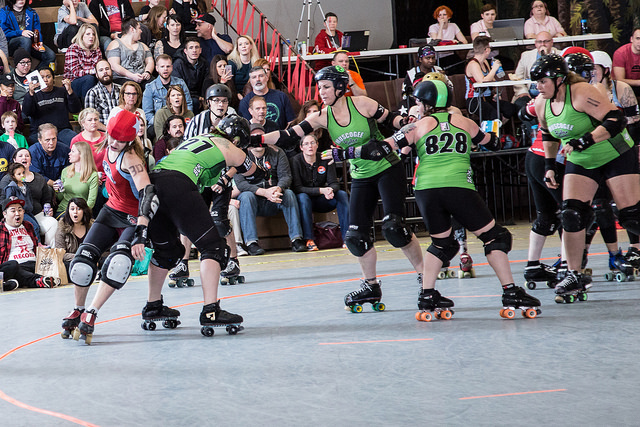 The Jukes of Hazzard are a team of both battle-hardened vets and a crew of Atlanta’s rising rookies. The Jukes are growing stronger with every game, striving to live up to the Atlanta Roller Girl title with stronger walls, jukier jammers, and synchronized strategic plays. 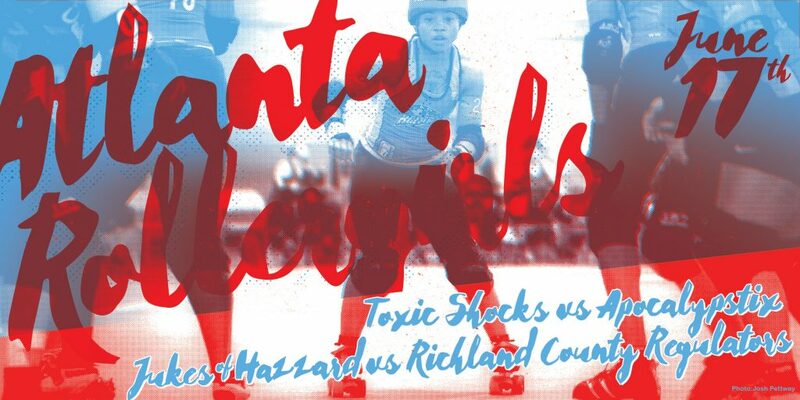 This month, they’re testing their skills against the Richland County Regulators, a small but tough team coming over from South Carolina, known for their endless endurance in a hard fight. 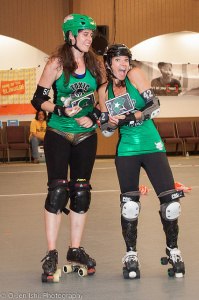 Come cheer on the Jukes as they strive to score another Atlanta home victory. The fun starts on Saturday, June 17th at 4 PM(doors open) at Yaarab Shrine in Midtown. Bout 1 is at 5, and Bout 2 starts at 7:30. Tickets are available online or at the door. BYOB (no glass, please), and come hungry- a few mouthwatering food trucks and vendors will be posted outside. 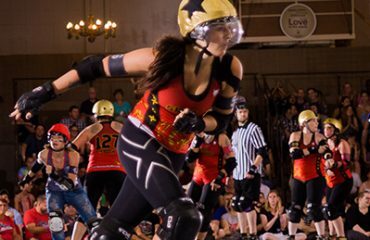 Now’s the time to join the Atlanta Roller Girls’ storm!